Not considering quadruple-distilled Vodka to be pure enough, founders Dan Aykroyd and John Alexander decided they needed to filter it through 500-million-year-old crystals known as Herkimer diamonds to add the finishing touch. They then went and topped it all by housing their Vodka in this spectacular skull. 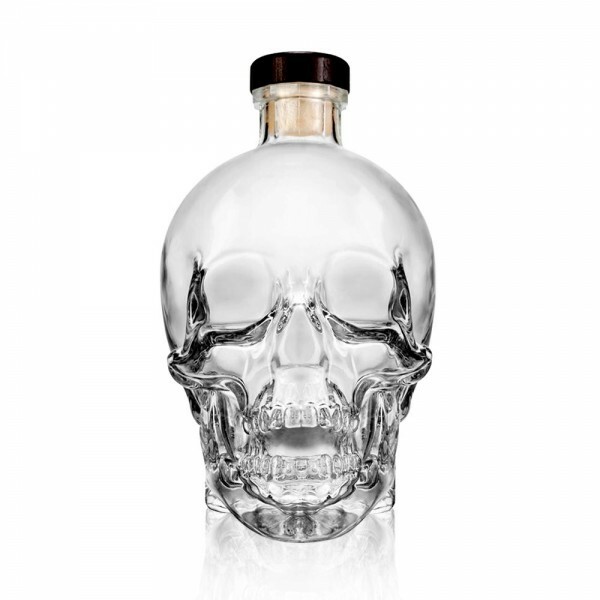 Crystal Head Vodka has one of the cleanest palates out there and little to no burn at the finish, this isn't just a prop, it's serious Vodka. Serve it in any Vodka cocktail and keep the bottle close by. Crystal Head Vodka has one of the cleanest palates out there and little to no burn at the finish, this isn't just a prop, it's serious Vodka. Serve it in any Vodka cocktail and keep the bottle close by. Comes in the manufacturer's presentation box. Read our blog post about the day we met Dan Aykroyd for the launch tour of the Jeroboam sized bottle.